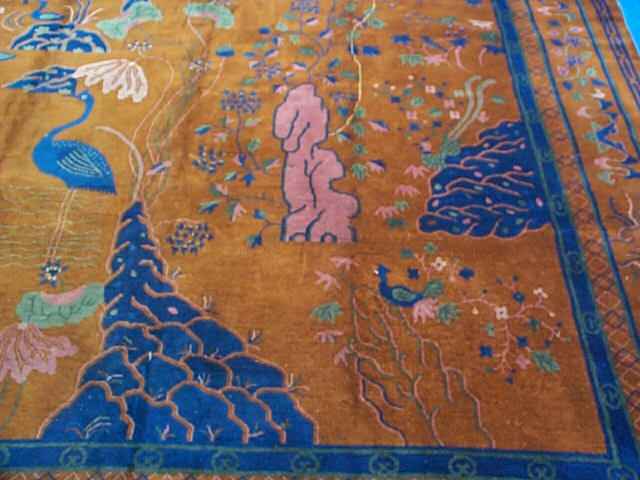 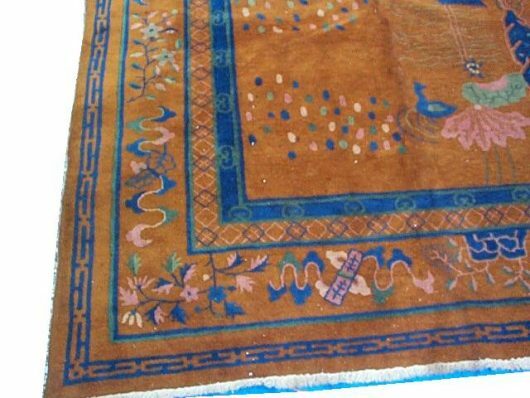 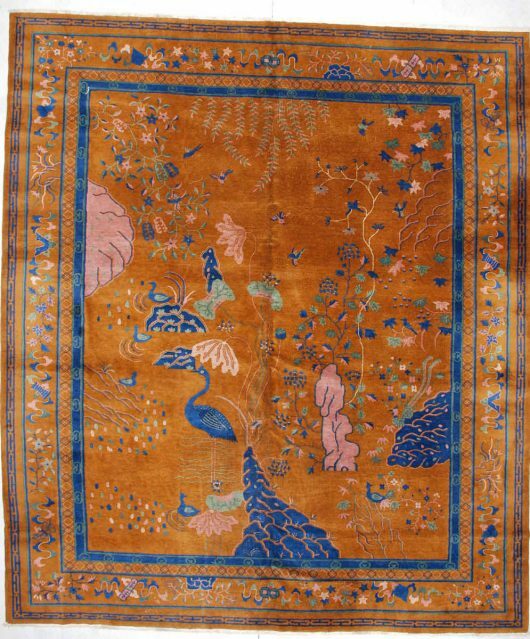 This 1930’s Art Deco Chinese rug measures 10’10” X 12’7”. 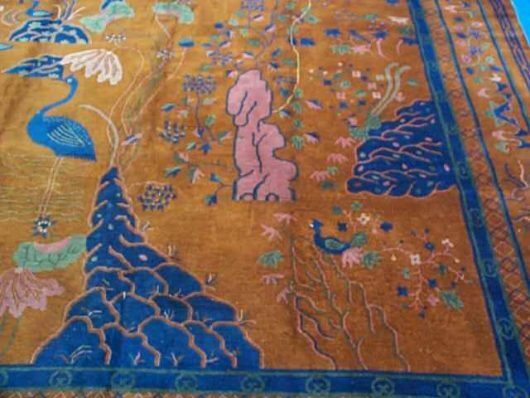 This rug has it all! Depicted are lakes, rivers, trees, flowering bushes, sacred mountains, birds and ducks all done in three shades of blue, pale turquoise, pink , ivory and green all on a burnt cinnamon to camel hair ground. 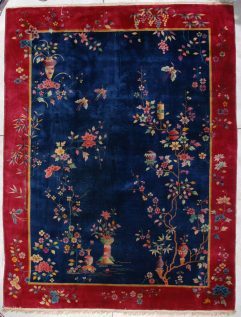 This rug has so much going on in it that words cannot really describe it…you’ll have to look at the pictures and describe it to yourself. 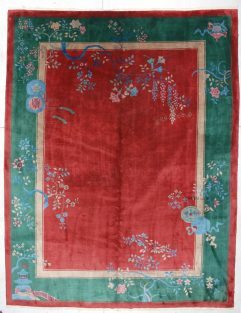 This entire art piece is encompassed by a border of various Chinese iconographies and meandering flowers which is then encompassed by an apron sporting a chain link design in blue. 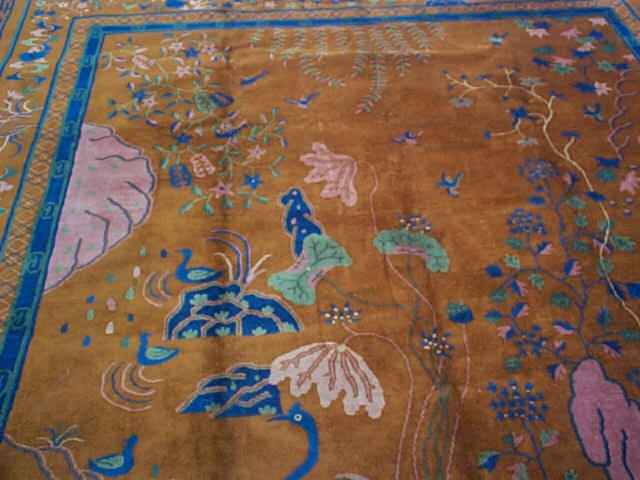 This rug shows very little wear, not enough to irritate any lover of Art Deco Chinese rugs unless you are looking for extremely perfect. 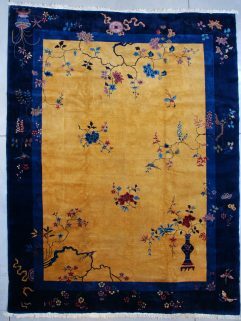 This rug is a wonderful large size. The ends and sides are complete. 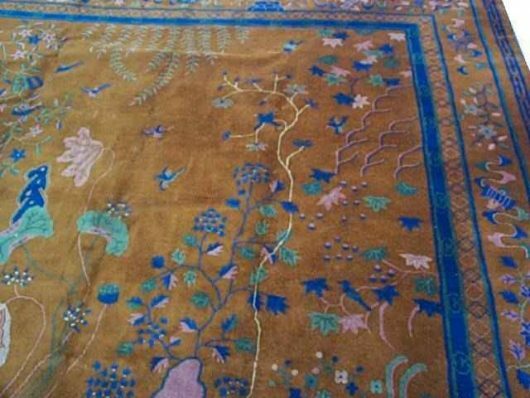 The rug is clean and ready to go. 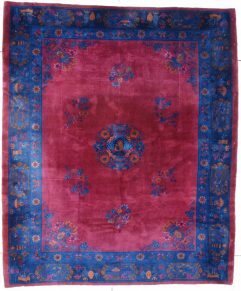 The shipping charge to the buyer is $200.00.